I’m moving this here blog. I need more flexibility than WordPress.com can offer. I’m moving it to my webhost that hosts my main site. I am going to try and transfer all of you folks over there, but if you want to help me out and re-register, that would be great. If not, it will be a week or so until I get everything sorted out. Here is the new url: http://theprogressivecontrarian.com/ That link is up and fairly up-to-date and functional. It also allows me to have a simple theme that for some reason wasn’t available on the dotcom version. Just when you thought the crazies over at the Organic Consumer’s Association (OCA) couldn’t get more goofy, they have warned Congress that if the they pass any amendment that would “preempt or nullify any state GMO labeling law” they will work to recall candidates or support their opponents in the next election. The King Amendment would reinforce the Commerce Clause by asserting the right of a state to trade agricultural products with another state. States that a state cannot deny the trade of an agricultural product from another state based on its means of production. The Agricultural Committee passed King’s Amendment. Now what is this section 206 of the Agriculture Marketing Act of 1946 the good congressman speaks of? Being a good republican, he gets it wrong. There is no listing of products in that section. It’s strictly administrative rules. No matter. I see what King is going for here and I can’t say I disagree. His hatred for groups like PETA and HSUS not withstanding, I see his point. Whatever his reasons for inserting his amendment it does make sense which makes this an anomaly; a republican doing something that makes sense, but accidentally. OCA sees this as a slippery slope where they will be more amendments piled on top of each other. They want to stop it by taking direct political action. Legally, can they? Well, the OCA is registered as both a 501(c)(3) and their lobbying and legislative arm, Organic Consumers Fund (OCF) is a 501(c)(4). What’s the difference? Both confer non-profit status. A 501(c)(3) allows an organization to promote social welfare issues but not engage in politics. They can’t endorse candidates, donate money to them or publicize which candidates agree with them on issues. As a 501(c)(4), an organization can get involved in politics as long as they don’t spend more than 50% of their funds on political issues. Its obvious both the the OCA and OCF are the same group. The OCF website says The Organic Consumers Fund (OCF) is the 501 c4 allied organization of the Organic Consumers Association. The interesting part of the OCA’s threat is that it comes from their website and they seem to be the arm that is threatening political action, not the OCF arm. If so, that would mean they are engaging in political activity which isn’t allowed under their 501(c)(3) status. Also on their site they have a list of those who voted for and against the amendment categorized as good guys and bad guys. That sounds pretty much like a 501(c)(3) no no. That sounds like they’re rating representatives. Whether legal or not, the OCA seems to be engaging in big time hypocrisy here. They are big opponents of the Supreme Court’s Citizen’s United decision. Yet they get to do their thing under the OCF due to that ruling. The Citizens United ruling “contradicts the notion of transparency that should prevail in a democracy,” wrote the Los Angeles Spanish-language newspaper La Opinion, in their endorsement of the measure. The great site Biofortfied has a great post which goes into more detail about the OCA, Progressive Activists or Organic AstroTurf? It’s obvious the two groups are one in the same. The fact that the names on each organization are slightly different, even though it’s the same person smells of deception. But that’s not surprising The Cummins’ groups are hustlers and liars. This is getting ridiculous. More anti-gmo nonsense science showing the harmful effects of gmos. It’s called A long-term toxicology study on pigs fed a combined genetically modified (GM) soy and GM maize diet. I hesitate to link to the study because I don’t want to give them the traffic. I was also going to summarize factually why this study is so lame, but the biotech squints and other smart people were immediately on the case like ugly on Ronnie Cummins, totally discrediting it on every level. I have posted links to those dissections below. But in a nutshell, the study claims that pigs fed gmo corn got sick. They had more stomach ulcers, or not. GMOPundit: Pigs in the real world — feed them different diets, measure many health parameters, some will show differences– but what does it all mean? I’m not being lazy, but I thought it would be silly to repeat what others have so expertly addressed. Besides, these are people whose sites you should bookmark. What I want to talk about here is how I have never seen a so-called progressive movement so willing to distort, lie, and obfuscate to advance their cause. It’s repulsive and offensive. And it’s hard to repulse and offend me. Anti-gmo activists are constantly painting Monsanto as evil. Well, we know corporations aren’t good citizens. But judging by the behavior of the anti-gmo activists and their in-house scientists, neither are they. The study was funded by folks like… wait for it… Jeffrey Smith’s Living Room for Responsible Technology and the Organic Federation of Australia. yet the studies authors claim no conflicts? It’s been said elsewhere, but what if Monsanto had funded a study that showed no hazards? The anti-gmo campaign brings dishonor to the progressive movement. Progressives have bought into crazy. Yeah, crazy. The folks running the anti-gmo campaign are frauds, charlatans and freaks. I mean c’mon really. Alex Jones is on your side? As soon as the latest study was released, anti-gmo groups like GM Watch warned of the “biotech industry” backlash against it. And by biotech industry, they mean any scientist that uses facts and evidence to point to the flaws in the study. What I don’t get, as a non-scientist, is how scientists can keep their jobs when they do such blatantly do such bad work, on purpose? Tenure? The sad thing is this bogus study will keep getting repeated ad nauseam on all the anti-gmo websites and I’ll have to listen to my anti-gmo friends cite it. The anti-gmo movement is the Tea Party of the left, yet they have gained traction in the mainstream liberal/left/progressive thought about this issue. Norman Borlaug* and Vandana Shiva were walking along a beach when they came upon a bottle. Borlaug reached down, picked it up and opened it. A genie appeared and thanked them for releasing him. He was so grateful that he offered to grant the two any wish they wanted. The genie winced and said, “Well, I don’t have the power to create the solution, but I can give you a scientific tool that will help. It’s called genetically modified organisms.” Borlaug was thrilled, thanked the genie and walked away smiling. Today’s post is a version of an op-ed that was quickly and roundly rejected by the Hartford Courant with a curt, No Thanks, response. The Connecticut legislature made history recently when it overwhelmingly approved a gmo labeling bill. They made history by giving credibility to the anti-science views of crackpots, frauds, and charlatans. In 2012, the Assembly’s GM labeling task force had one Jeffrey Smith testify. Readers of this blog are well acquainted with him. He is the go-to-guy and is considered an “expert” on gmos. Unfortunately he is not a scientist and has no agricultural experience. He is considered a joke among the scientific community. He has two self-published books on genetic engineering. One of them, Genetic Roulette has been discredited by real scientists. The organization, Academics Review, looked at the book to see how his claims stacked up against current peer-reviewed science and submitted a chapter by chapter take down of the book. Smith recently backed out of a debate on the safety of gmos at the Cato Institute where he would have had to defend his nonsense against actual scientists. Those scientists are Karl Von Mogel and Kevin Folta. Von Mogel is a Ph.D. candidate in plant breeding and plant genetics at the University of Wisconsin who co-founded the science site Biofortified. Folta is Interim Chairman and Associate Professor Horticultural Sciences Department at the University of Florida and writes the blog Illumination. I just read that Jeffrey Smith, of the Institute of Responsible Technology will be speaking before your GMO Labeling Task Force on August 8th. I would recommend you rescind this offer as Mr. Smith is a self-styled expert on GMOs. He has no experience in science or agriculture. For some reason he is considered an expert by the media and others. If this is not possible, I suggest you at least have actual scientists testify on this issue to counterbalance his nonsense. “my intention is to gather as much information as possible. I understand that this is not a simple subject and I do not believe we should be rushing to label before we understand the issue”. It seems they didn’t take my advice and consult any real scientists and listened only to a minority of vocal activists who peddled discredited studies and lies. Every major health and scientific organization have weighed in on the safety of genetically modified foods. The safety is not in question. Humans have been genetically modifying foods for thousands of years. Activist claim GM is different. Yes, it is. It is more precise. With conventional breeding it is a hit and miss method. With conventional breeding they transfer thousands of genes, hoping they will get what they want. With GM, scientists only transfer the gene(s) that they need. Activists point to the 64 countries that have laws requiring labeling as a talking point. Well, 74 countries have laws against homosexuality. Should we follow their lead? The legislature should be ashamed of themselves. First off, if you’re going to have a protest about how we’re all being poisoned, you need to have it led by healthy, well-fed, good-looking people. Second, you need music and what better music to have than the Occupy Wall Street All-No-Star Band with special guest, Zuccotti Park Sax Guy. Saturday’s March against Monsanto was everything I expected it to be. The one thing I didn’t expect was how the protest stayed on point. In almost every protest I’ve participated in since the 1970s, there were always groups pimping their own causes(s) which took away from the actual issue of the protest. This one didn’t. One of the reasons may be this isn’t really an issue that resonates with the wider progressive movement. Or maybe it was just a problem of outreach. I missed the rally, but I did arrive in time to catch the march to Washington Square where there would be a teach-in where people could discuss the issue in groups. What that meant was let’s stand around looking serious and nod our heads knowingly in agreement. Washington Square was a sea of signs plastered with all the bad science and misinformation and surprisingly, I had very few Woody Allen-Marshall McLuhan moments. 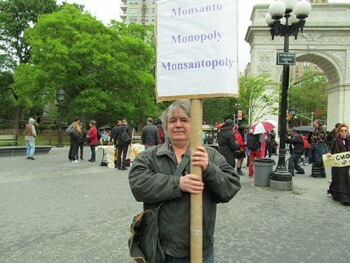 My first encounter was with a guy who had a button that read, Stop Monsanto. Ask me why. I did and he wouldn’t tell me. Seriously. I said, “You have a button that says ask me, so I am.” He sheepishly smiled and responded, “That’s just what the button says.” Then he scurried away. My next little chat was with a woman manning(?) a table. She was actually very nice and claimed to be a nurse. She echoed the talking points about weed resistance, mono cropping etc. I explained that weed resistance was an age-old problem and farmers have always had to stay one step ahead of the weeds. It wasn’t just a gmo problem. That’s where I got my first dog head tilt. I asked her if gmos were so dangerous, why were they so popular among farmers? “Well, they want to make a profit, right? Next! Meandering around and listening in on the discussion groups it dawned on me, every discussion was one talking point after the other. It was like listening to the gmo rerun channel. I came across a how to detoxify from gmos discussion. It was more a pitch for Isogenics than a real discussion. But even though the audio in this short video is bad at times due to the wind, what I want you to see is the guy at the beginning. He is rambling on about the new proposed strain of gmo wheat that will eat your liver and kill your kids. He makes another appearance later. I saw a trio holding signs, one of with the usual gamut of the dangers of gmos. Where did she get her information? “Have you ever heard of the Institute for Responsibility Technology? I’m not sure if I actually physically cringed, but I had to explain to her the history of Jeffrey Smith. 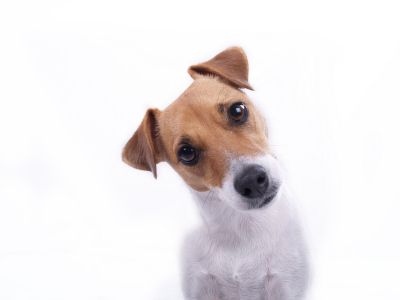 Second dog head tilt of the day or maybe it was blank stare. They were thinking of taking their protest show on the road and join some others in Times Square. I warned them that might not be such a good idea because the cops don’t “take kindly to protesters going off the Rez.” They could wind up in the jail for the holiday weekend. One guy said, “I’ll ask that cop over there. Here hold this.” And he handed me his sign. Not wanting to seem like a party pooper, I took it. The result was this damning photo taken at my request. He ignored it and continued talking as I said, “Oh, so you are,” getting a slight giggle from the crowd. That’s when I noticed Liver Guy standing next to me. I had to talk to this guy. He said he was pro-vaccine which I said was a good thing. I asked him why he called gmos contamination. He told me that just because it’s created in a lab doesn’t mean it’s not contamination. The conversation turned to pesticides and I asked why Bt was okay when sprayed by organic farmers and not okay when one of the genes was engineered in the plant. I explained Bt was weak and degraded quickly in the environment due to rain and sunshine which necessitates more spraying… Well, you can listen to part of it here. Now, this was that guy from the earlier video who was talking about the gmo liver, kid killing wheat and he tells me that I should have brought my sources with me? The last line of that audio cracked me up. I told him yes, and his last words to me were, “I’m moving over there,” and then skedaddled. The audio at that point is weak. I really wanted to post that. I didn’t get a chance to ask him if he had his sources with him about the child-killing gmo wheat, but he was gone in a flash. I should have led with that. So, what did we learn? We learned that although many people had signs about tumerous rats etc, very few them knew who Seralini is and weren’t familiar with his study. Around the same number didn’t know who Jeffrey Smith is. Among those who did know, there were many head tilts when I mentioned Seralini and Smith were frauds who refuse to publicly debate scientists who want to challenge them. Probably the biggest eye-opener was that for the first time, the real agenda was out in the wide open. It’s not just about labeling. The end goal is to eliminate gmos. There were no Just Label It signs. It was all about ridding the world of the poison of gmos and sending Monsanto packing. It’s about the misguided notion that if you bring down Monsanto, you eliminate the technology of gmos. It’s about time the activists running the shows in various states come clean. They’ve been allowed to dance around the issue for too long. Labeling is a red herring. If they feel gmos are so dangerous, then why stop at labeling? I want the anti-gmo crowd to be this one-dimensional cartoon. It would make it much easier to dismiss them. Instead, they’re nice, friendly, smart, well-meaning dumbasses. Just the kind of people I could hang around with and well, pretty much do. Oh, I almost forgot Illuminati Guy. I had no clue what the hell he was talking about, except the fact we were the only ones who are hearing this information. I’m not quite sure what that information is, but I am one of the lucky few outside the Illuminati that knows it. Is organic farming the boy in the bubble of agriculture? In their opposition to GMOs, organic farmers point to the possible contamination of their crops. The use of the word contamination in itself is hyperbole and note the qualifier, possible. What they mean is cross-pollination, a less scary sounding word. Their vocabulary is full of maybes, could happens, and what ifs? Organic farmers seem to be feel everything modern is a threat to their crops and it doesn’t even have to be that modern. Conventional farming, large-scale farming, the Moops. Everything seems to be a threat organic farming including food safety rules. He and other organic farmers say stricter food-safety regulations, developed after a cluster of outbreaks of bacterial contamination in spinach and lettuce in 2006, threaten the principles upon which their farms are based. If your principles are at odds with food safety, perhaps you might want to re-think your principles. The Organic Seed Trade Association (OSGATA) lawsuit against Monsanto is a classic example of paranoid what if thinking. They sued to have Monsanto promise not to sue organic farmers if their crops get contaminated from neighboring gmo fields. They admitted in court filings that it hasn’t happened yet, but it might happen. Monsanto, in response, offered up the reasoning that why would they sue someone who isn’t using, and has no use for their seeds? 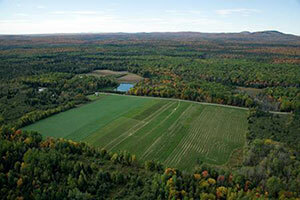 Here is an aerial view of the lead plaintiff Jim Gerritson’s, organic farm taken from their site. Where is this contamination going to come from? Is Monsanto going to fly over his farm in planes dropping seeds so they can sue him? Last year, a federal court dismissed the suit. It is currently under appeal. The latest threat to organic farms comes to us from Shoreham, Vermont. Raj Bhatka, is a kind of unlikable guy who was fired from the Trump reality show The Apprentice and ran an unsuccessful campaign for Congress. He built a rye whiskey bottling plant, Whistle Pig on some farmland and wants to start distilling his own rye whiskey and his organic farming neighbors are against it. They, you guessed it, feel the distillery might be a threat to their crops. Bhatka’s neighbors, George Gross and Barbara Wilson, who own a small organic berry farm called Solar Haven Farm, have voiced concerns about potential traffic, noise and black fungal growth or BFG, which can be produced from ethanol in the fermentation and whiskey-aging process. “We believe the ethanol could be a potential source [my emphasis] of mold on our crop,” Gross said. When Gross refers to the community and neighbors, he is referring specifically to his farm. The town Selectmen have no problem with Bhatka. And seemingly, neither do most people in the area. The angle the Gross’ are using is to claim that Bhatka’s business has been running for two years without a Act 250 permit which is required since his business is not considered a farm. According to state law, to be considered a farm, 50% of the ingredients have to be grown on the farm. Since the state says the whiskey’s main ingredient is water they don’t qualify, even though they grow rye for their whiskey, organic rye no less. Organic farming seems to be the Boy in the Bubble of agriculture. Organic farmers are always complaining about threats to their method of farming; and that’s what it is, a method. If organic farming is so fragile, how on earth do they think it is a viable and sustainable way of farming?